Place all ingredients in a high speed blender or *smoothie maker, and process until very smooth. I prefer to just add a couple ice cubes to the glass before drinking, but you can add a few cubes along with the other ingredients if you like. Serve immediately. 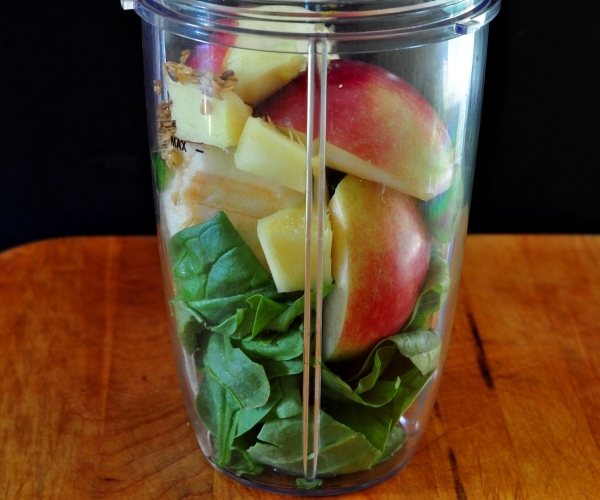 Leftovers should be refrigerated, but it is best to drink a smoothie right away to get the best use of the nutrients.